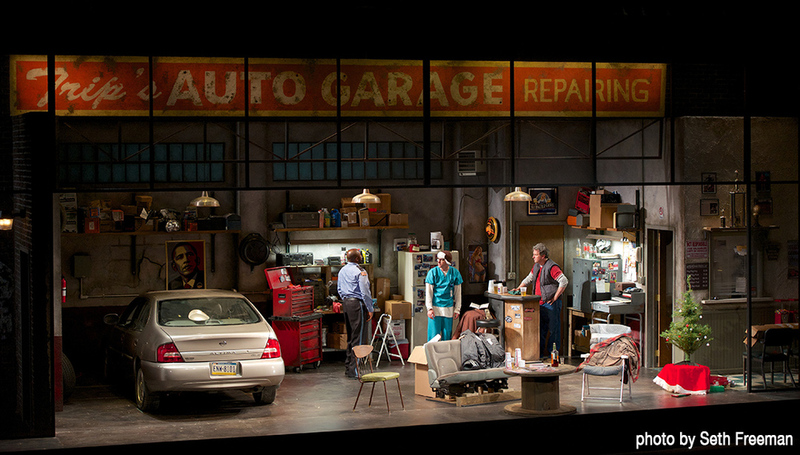 "Also worthy of superlatives is the set by David M. Barber. I can't say I've seen another play set in a working garage, but if I had, I bet I'd have found this one more convincing, incorporating a complete slightly derelict-looking automobile. There are plays that just work better with a hyper-realistic set, and this is one of them. I think, in the past couple of years, I've only seen one set to equal it, John Lee Beatty's creation for The City of Conversation at the Lincoln Center, doubtless realized with a far greater budget." 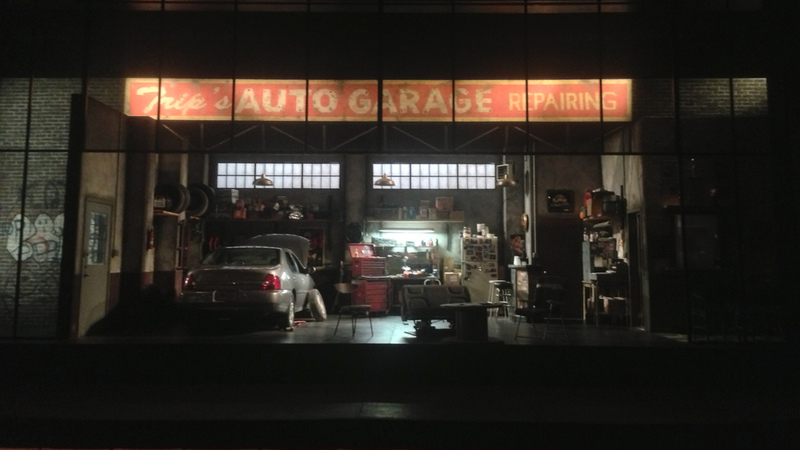 "As strange as it may seem I'm inclined to start my review with the stunningly realistic set created by David M. Barber; this may look like talking about the furniture at a dinner party, but in this case Barber and his hard working stage crew deserve a huge shout-out for what they have accomplished. Grime, soot, fridge magnets and family photos, a genuine four-door sedan, a free-standing tool cabinet, spare van seats, you name it - whatever you've noticed out of the corner of your eye when your car was at the shop, it's all there."